Notice! Ladies Beach Residence does not accept reservations at this time. Please try again later. Ladies Beach Residence Contact. With its unique location in the heart of Ladies Beach, Ladies Beach Residence opened its doors in 2014 as a high-end vacation alternative to those guests seeking the comfort of their home combined with the luxury of a 5 star hotel. Exceptional 360 panoramic architecture and design of our rooms with stunning sea views, secluded beach facilities in the most desirable central beach of Kuşadası and select mix of on-site shops and attractions, reflect our approach to enable a privileged stay at your “Home away from Home” We welcome you and your family to experience Ladies Beach Residence for a stay with ever-lasting memories on your next trip to Kuşadası..
Ladies Beach Residence is with a private sandy beach area. It offers elegantly decorated accommodation with modern amenities, around-the-clock front desk service and free WiFi throughout the premises. With parquet floors, the apartments and suites at Ladies Beach Residence feature a seating area, work desk and a satellite TV. Air conditioning, a safety deposit box and an electric kettle are available in each unit. Some also come with a balcony and sea views. The on-site restaurant offers pastas and other light snacks. There are numerous cafés, bars and restaurants in the surrounding area. Some apartments come with a fully equipped kitchen and you can prepare your meals in the privacy of your own kitchen. Buses run right in front of the property to the town centre. You can try wine tasting at Sirince Village within 18.6 miles or visit the ancient Greek city Ephesus 13.7 miles away. 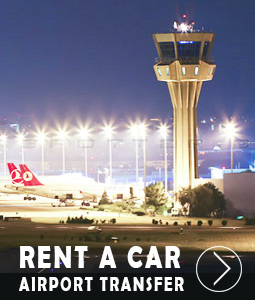 Izmir Adnan Menderes Airport is 300 feet away and airport shuttle services are arranged at an additional fee. 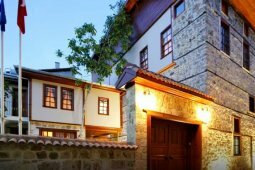 This property also has one of the best-rated locations in Kusadası! Guests are happier about it compared to other properties in the area. Ladies Beach Residence accepts VISA and reserves the right to temporarily hold an amount prior to arrival. Ladies Beach Residence accepts Master Card and reserves the right to temporarily hold an amount prior to arrival. Ladies Beach Residence accepts Maestro and reserves the right to temporarily hold an amount prior to arrival. Ladies Beach Residence accepts American Express and reserves the right to temporarily hold an amount prior to arrival. Ladies Beach Residence accepts Bank card and reserves the right to temporarily hold an amount prior to arrival. Accommodation Description: The facility serves only two different concepts as Bed and Breakfast. Ladies Beach Residence Access to the facility rooms starts at 14.00. The departure time from the rooms is no later than 12.00. Tesise pet is not accepted. The use of outdoor open spaces is subject to seasonal conditions. € 13 between age 13-14 will be charged. Very very very busy. Water is super dirty. We made a mistake in our booking and after speaking with the front desk was told we could stay that night so we go and check out of our other hotel that wasn't to our liking pack out luggage walk up the road to Ladies beach residence only to he told we would have to pay again for this night even after we have already paid two nights and even after they agreed for us to stay this night only to back-flip their decision and demand a total of three nights payment for a single night. We where so tied and there trying to sort this out after starting our day at 4am was along the lines of 20.30 to 23.30 in their office There was a nice room available but after being treated bad and lied too and not no mention the inconvenience we walked out in disgust 22.30 at night up the road with two heavy suitcases and a foul taste in out mouths.